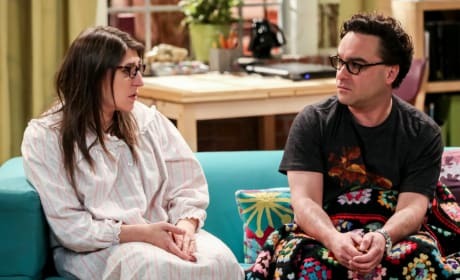 It's the end of the line for The Big Bang Theory. 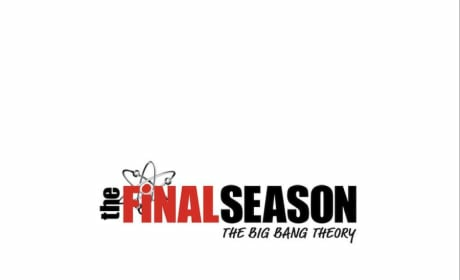 This is a poster for Season 15! 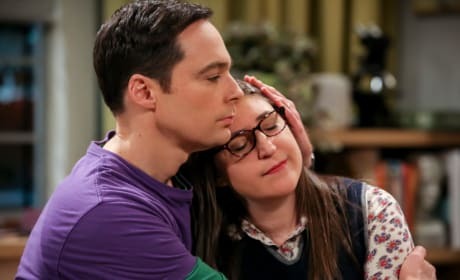 Sheldon comforts Amy when she has a meltdown on The Big Bang Theory. 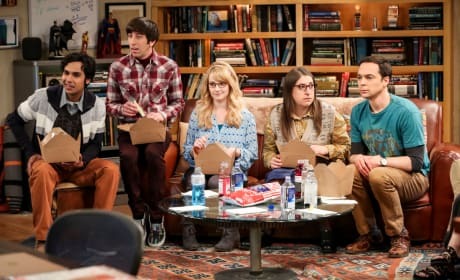 "The Inspiration Deprivation" is the 19th episode of the show's 12th season. 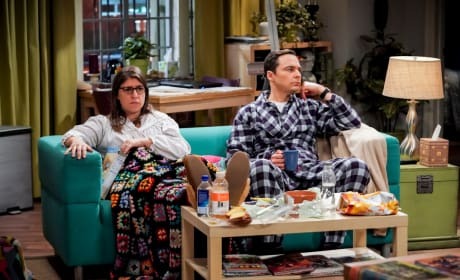 Competitors Pemberton and Campbell charm America on a publicity tour upsetting Sheldon and Amy on The Big Bang Theory. "The Laureate Accumulation" is the 18th episode of the show's 12th season. 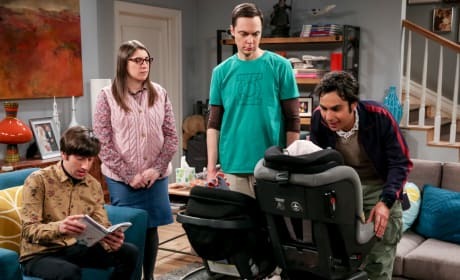 With Wolowitz in charge, Sheldon and the gang experiment on the kids on The Big Bang Theory. "The Conference Valuation" is the 17th episode of the show's 12th season. 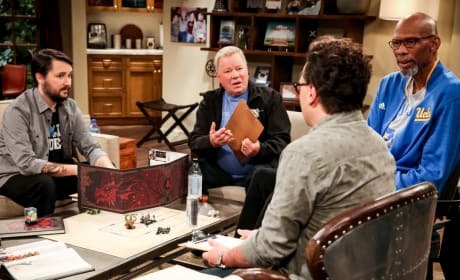 Will Wheaton hosts a celebrity dungeons and dragons event on The Big Bang Theory. "The D & D Vortex" is the 16th episode of the show's 12th season. 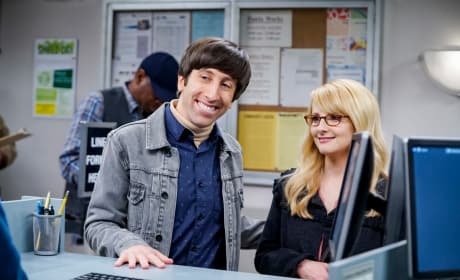 Bernadette and Wolowitz navigate bureaucratic paperwork but may be breaking the law on The Big Bang Theory. "The Meteorite Manifestation" is the 14th episode of the show's 12th season. 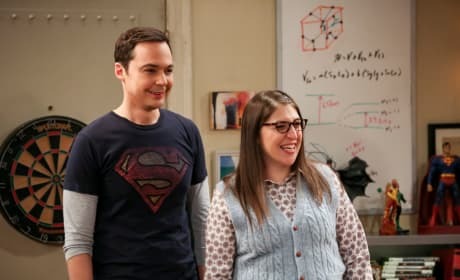 Two physicists try to kick Amy off the Nobel nomination on The Big Bang Theory. "The Confirmation Polarization" is the 13th episode of the show's 12th season. 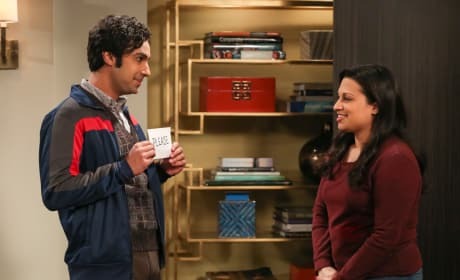 Koothrappali attempts to mend things with his ex-fiancée on The Big Bang Theory. "The Propagation Proposition" is the 12th episode of the show's 12th season. Sheldon is jealous of Amy on The Big Bang Theory. "The Paintball Scattering" is the 11th episode of the show's 12th season. 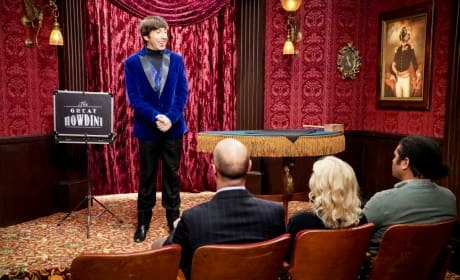 Wolowitz has his Magic Castle audition on The Big Bang Theory. "The VCR Illumination" is the tenth episode of the show's 12th season. 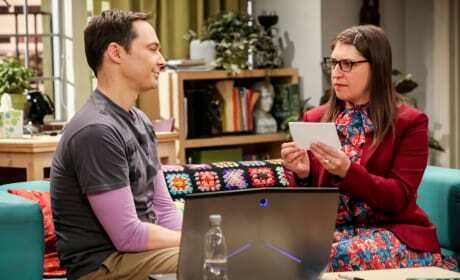 Amy and Sheldon are devastated by what they read in a Russian newspaper on The Big Bang Theory. "The Citation Negation" is the ninth episode of the show's 12th season.